17 Frost Gallery — Brooklyn’s widely impressive hub of “community, camaraderie and collaboration” — is back! 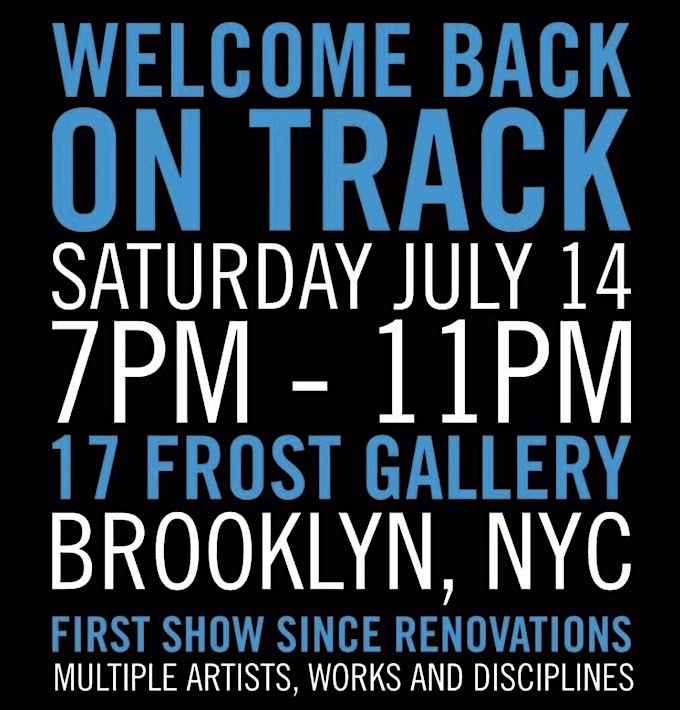 And to celebrate its renovation and expansion that began in January 2017, when it closed its doors to the general public, it is hosting WELCOME BACK, ON TRACK this Saturday evening from 7-11pm. 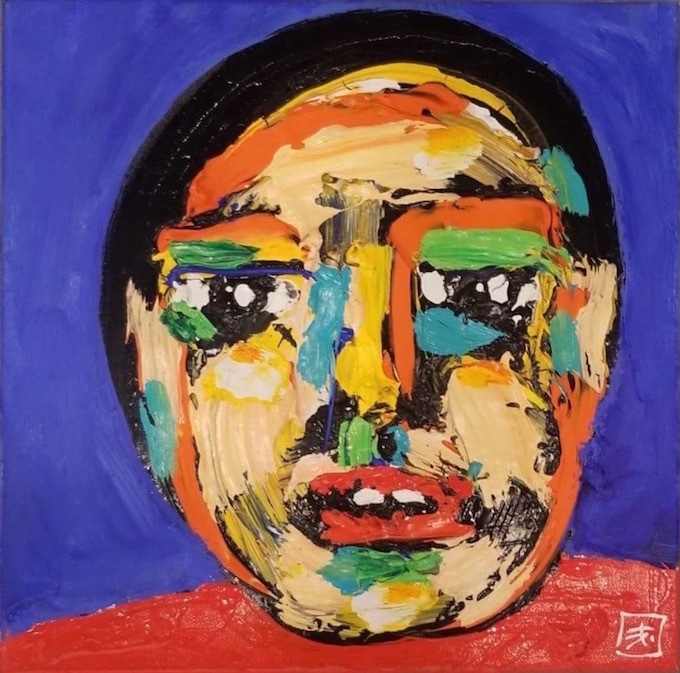 A rebirth of sorts, WELCOME BACK, ON TRACK, features dozens of artists working in a range of media representing contemporary art, street art and graffiti genres. 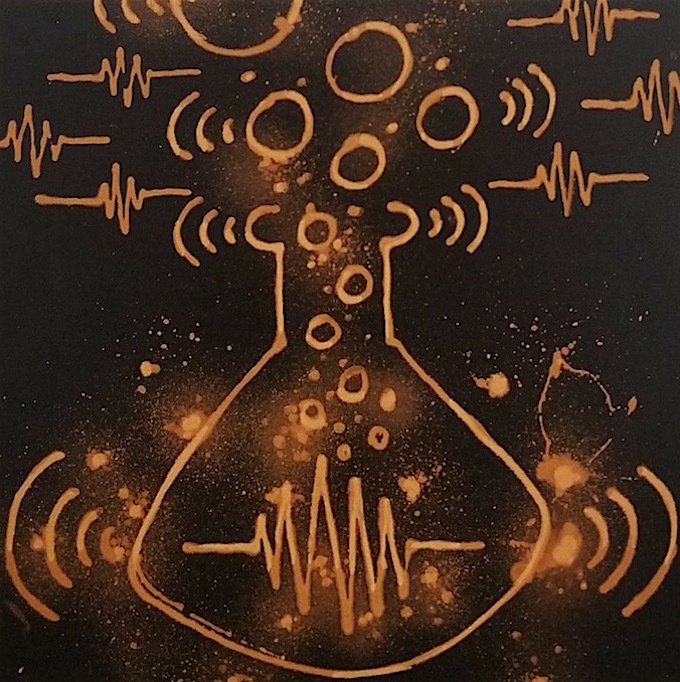 While 17 Frost Gallery had previously presented monthly solo and group shows, it is now gearing towards exhibiting pop-up shows, with artists encouraged to present new works. All are invited to celebrate 17 Frost Gallery‘s “rebirth” this Saturday evening. 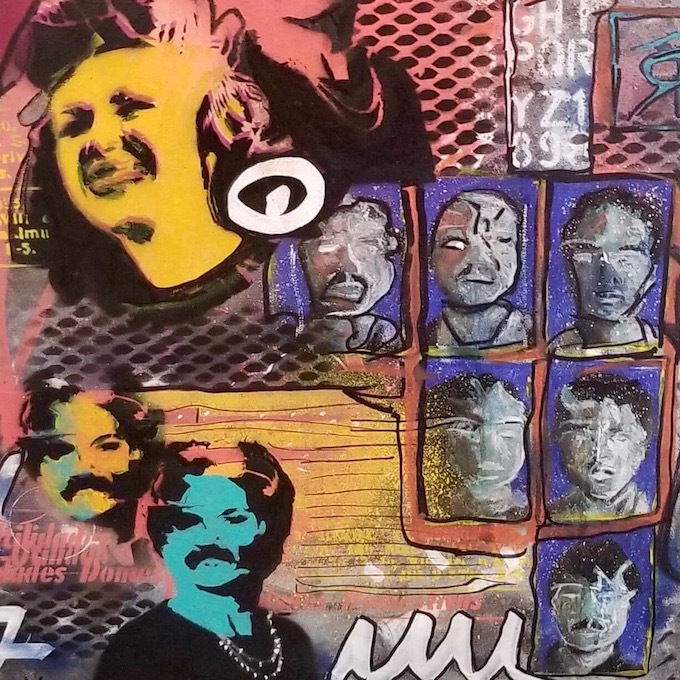 Among the dozens of artists in this premier exhibit — curated by Ellis Gallagher — are such modern legends as Al Diaz, Cope2, Eric Orr, UFO97 and Cost.